At some point, all of us have probably dreamt of living in a big house. After all, it’s always nice when you have more than enough space to move around without feeling restricted. Sadly, we don’t always get what we want, and we just have to accept that fact and make do with what we have. 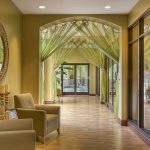 Others simply don’t want to live in a large home, and for a good number of reasons. Obviously, taking care of a large place requires a lot of effort and is tiring at the same time. It could also be that they simply prefer the cosiness that smaller homes can offer. Whatever the reason is, we can all agree on one thing: It is a challenge to make a small room look and feel a lot bigger. Don’t worry, we’ve all been there! With a few tricks, you can transform your claustrophobic space into a comfortable, clutter-free, larger feeling room. 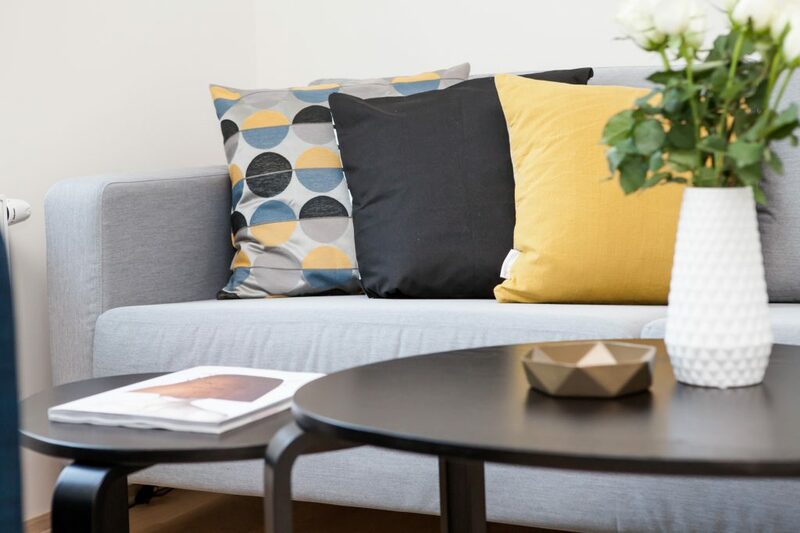 All it takes is a perfect combination of space-saving solutions to brighten up your home without sacrificing your personal style. So read on and see for yourself. Without a doubt, simplicity is the key to maximizing the limited space that you have. The more pieces of furniture that you have, the more cramped and cluttered it will feel. Stay away from overwhelming bright colours and patterns. It’s all about purpose. Follow this simple rule — if you don’t need it, get rid of it. The bottom line is, do not overdo things. 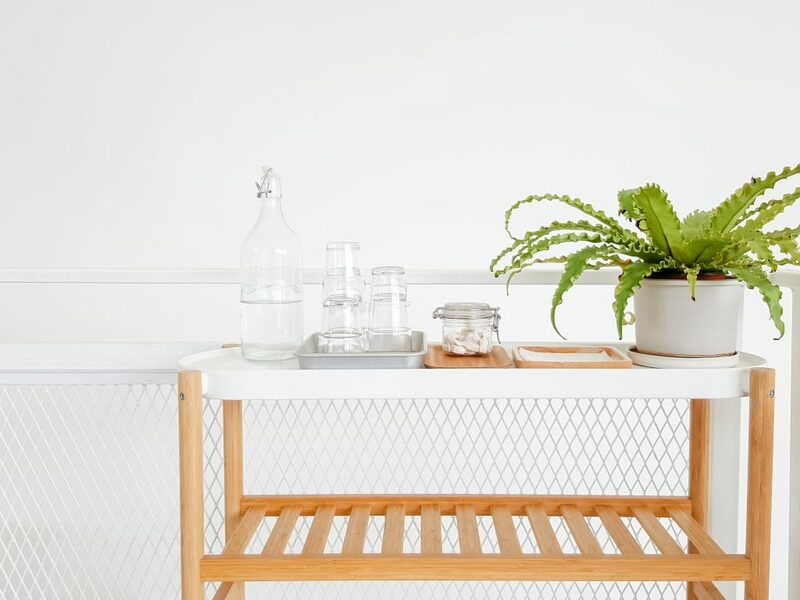 There’s nothing more logical to do than making your small room clutter free. You’re already dealing with a very small space so it doesn’t make sense to have unnecessary things in the room. 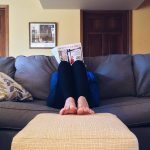 Furniture that attracts clutter like coffee tables should be avoided, unless you are sure you can keep it clear from the unnecessary. If getting rid of clutter seems an impossible task, organise to begin with. For starters, you can put books and magazines in a floating shelf. 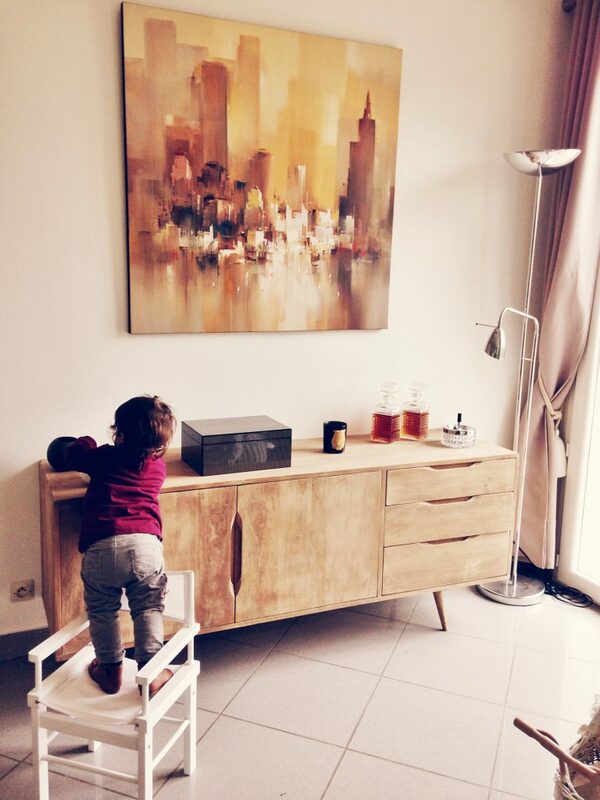 You can also take advantage of multifunctional furniture like a storage Ottoman. 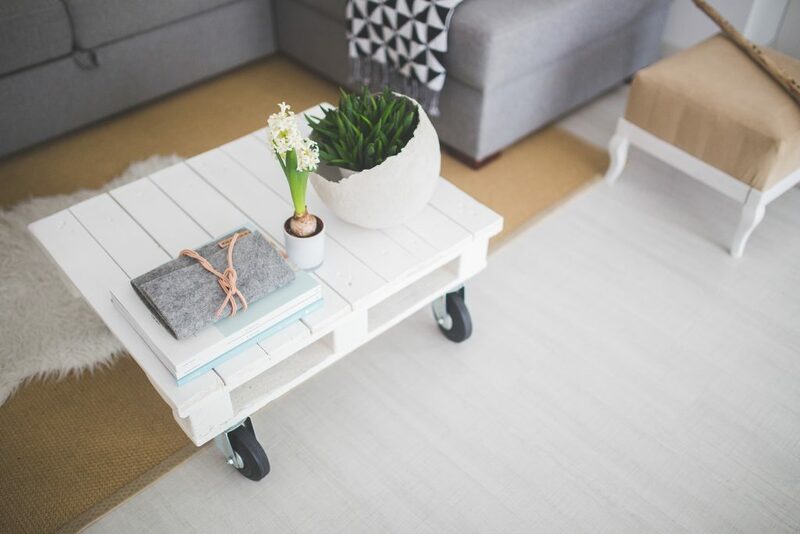 If you’re set on having a coffee table, choose one that has draws or shelves to help hide clutter. Sometimes, no matter how you arrange things in your room, you still get the feeling that it’s lacking in space. Even if you made sure that it’s clutter-free, it still looks and feels the same. If that’s the case, you probably need to consider changing your flooring style. 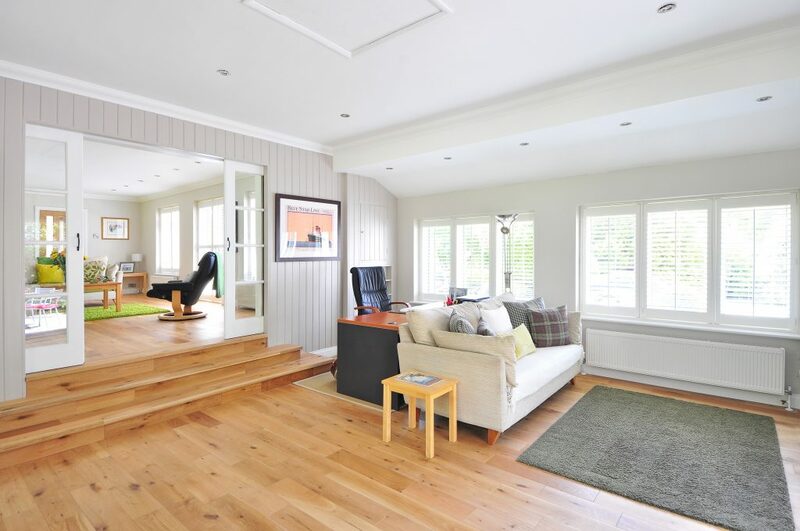 Hardwood flooring is perfect for increasing your property’s value. 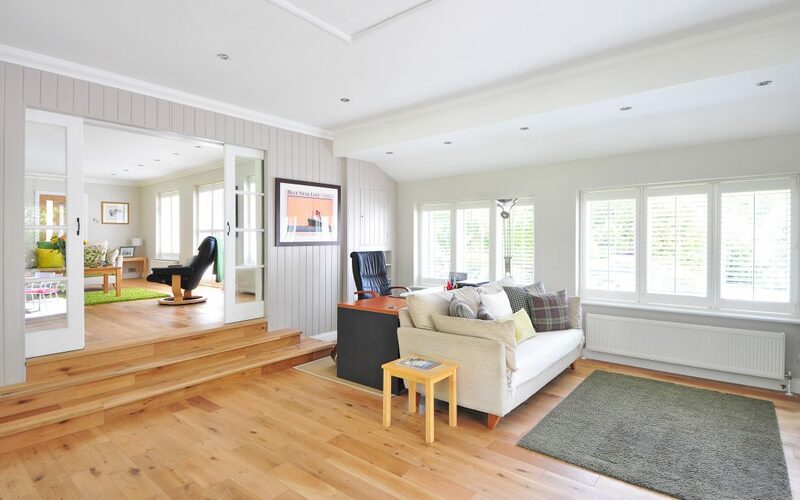 When dealing with a small room, always place the flooring diagonally. This way, the widest part of the pattern is facing you when you enter the room. The diagonal pattern tricks your brain into seeing the space as larger than it actually is. Another tip is to use one type of flooring from one area to the next to create a continuous flow. If you plan on using tiles, gather some awesome tiling ideas for your home and go for the larger ones. This will make the rooms look as if they’re all part of one, large space. Heavy drapes and bulky shutters can make a small room even smaller. Curtains are also not advisable because they have a tendency to block your view of the outside. A good substitute for them would be lightweight mesh and cloth blinds. If curtains are really what you fancy, hang them all the way from the floor to the ceiling. This gives off the illusion of height. 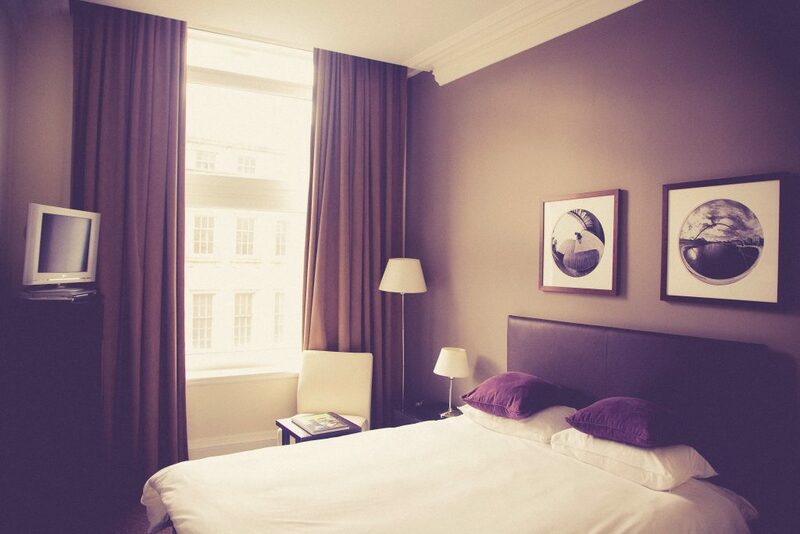 As far as the colour of the window treatment is concerned, it’s best to keep them the same as the colour of the walls. Let in as much natural light as possible to make your room brighter. A well-lit room feels more open and eliminates shadows which can make an area appear even smaller. If you’re located in a place that doesn’t allow you to get as much sunlight, consider installing track lighting. 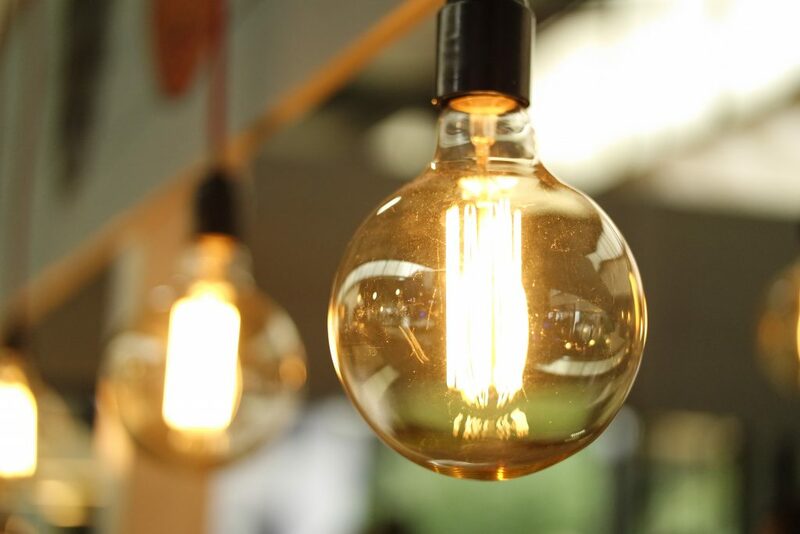 At night when there’s absolutely no source of natural light, artificial lighting does a great job of illuminating wherever in the room you would like. You can also install ceiling-mounted fixtures with dimming capabilities to add depth to a room. Just as vertical stripes on clothing can make you look slimmer and taller, these patterns will also have a similar effect on a small space. 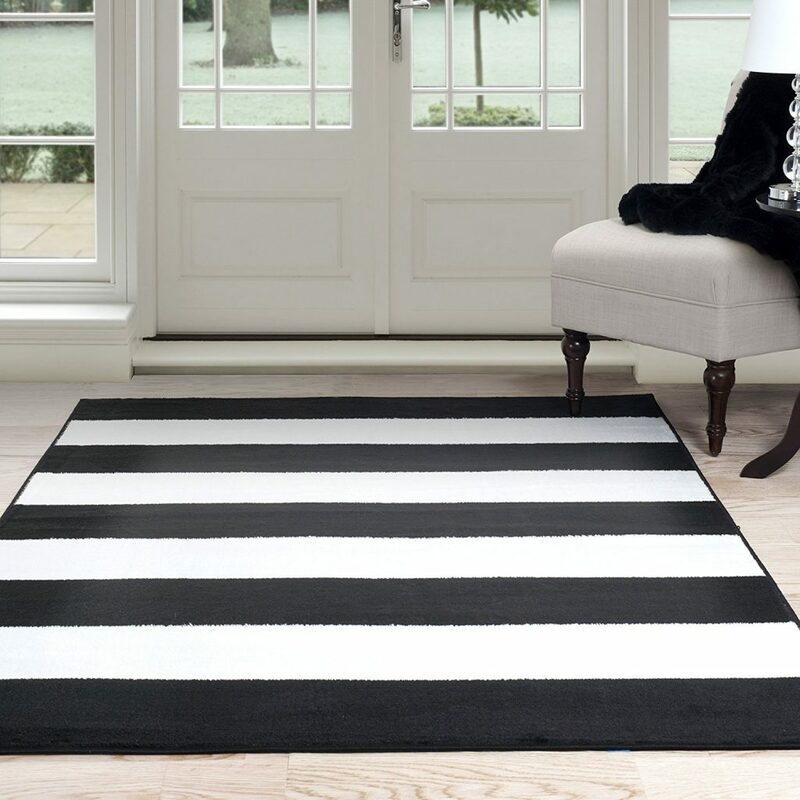 For example, stripes on a rug will make a room appear longer in the direction the stripes are oriented to. Emphasising on vertical and horizontal patterns creates a sense of movement. You can also paint the bottom half of walls a darker shade than the top portion to define a room’s shape and add height at the same time. The purpose of a large piece of artwork is to act as a focal point. It doesn’t even have to be an expensive piece or an artwork either. A blown up image of your favourite photo can serve the same purpose. The logic behind having a large-scale piece as a focal point is to draw the eyes of people towards it. In a sense, it acts as a diversion and helps a lot in putting the emphasis away from the smaller size of your room. I did mention about the importance of getting as much light as possible. Another way to achieve this is by making use of mirrors. That’s right! 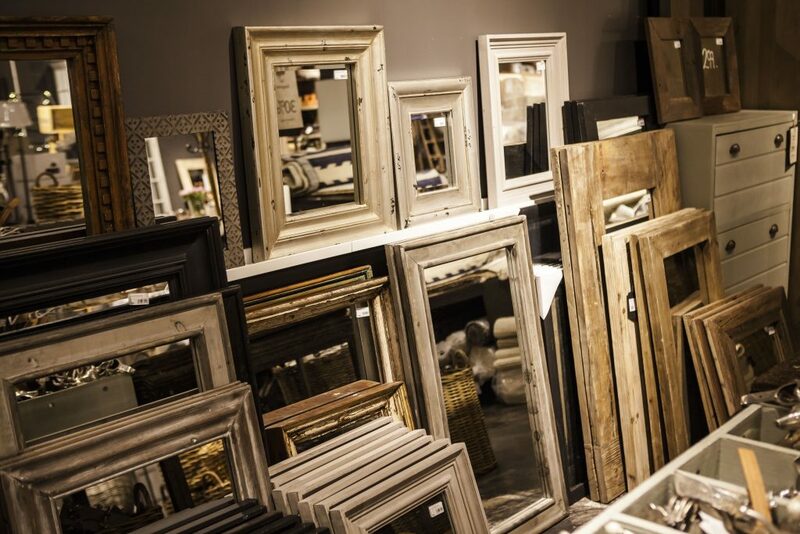 As plain-looking as they may be, these mirrors play a big role in making a small space feel larger. Consider placing a mirror opposite of a window to reflect all the light that comes in. Aside from the light, they also reflect the outside view which tricks the eyes into perceiving that there’s more space. A common mistake that a lot of people make is pushing everything to the edge of the room, and that’s because they want to maximize space. However, what they don’t realize is that it causes them inconvenience by bumping into things. Instead of doing this, it is more advisable to move furniture away from walkways. This way, you’ll open up space and make the room feel larger. Widening doorways and walls (if possible) can create a free-flowing effect too. 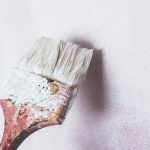 Admittedly, painting a small room with light hues like white certainly helps it to look bigger, and that’s because these colours can reflect light. But what if you live in an area that’s naturally dark? It may have the opposite effect, and your room might end up looking dull and lifeless. 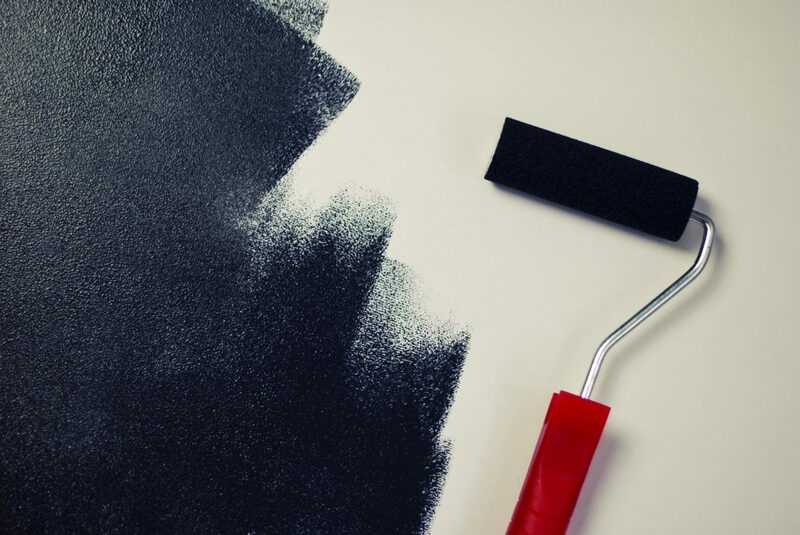 One trick that you can do is to paint everything (walls, ceilings, floors, etc.) using colours such as blue or green in a calming palette. If you don’t like to have the same colour, you can opt for shades with similar tones. This simple trick creates an illusion where the boundaries of your room have seemingly disappeared, and make it bigger in appearance. If you noticed, there’s nothing on here that talks about having to renovate your room. That’s exactly because you don’t have to! The key is tricking the eye into thinking there is more space by combining different elements. 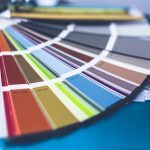 There are even more tricks professional interior designers don’t want you to know which you can use at your leisure. A perfect combination of these elements is all that you need to achieve a bigger and spacious-looking room.